Mmmm, roasted sweet potatoes, black beans and spices... this is one of my favorite meals and I cannot believe it has taken me this long to post the recipe! You can make a batch early in the week and have a delicious dinner with plenty of leftovers for a few lunches. If you are looking for a Meatless Monday idea, this is the perfect recipe. The flavors are amazing -- the only way my kids will actually eat sweet potato. Top with some Fresh Mama Guacamole and everyone will be happy! 1. Place sweet potatoes, jalapeno, bell pepper, onion, cumin, chili powder, salt, pepper on large baking sheet. Drizzle with olive oil and toss well to coat. 2. Bake mixture 20-25 minutes until sweet potatoes are tender and lightly browned. 3. Transfer to mixture to large bowl, toss with black beans and lime juice. 4. Scoop 1/2 cup rice onto plate, top with sweet potato mixture and desired toppings. 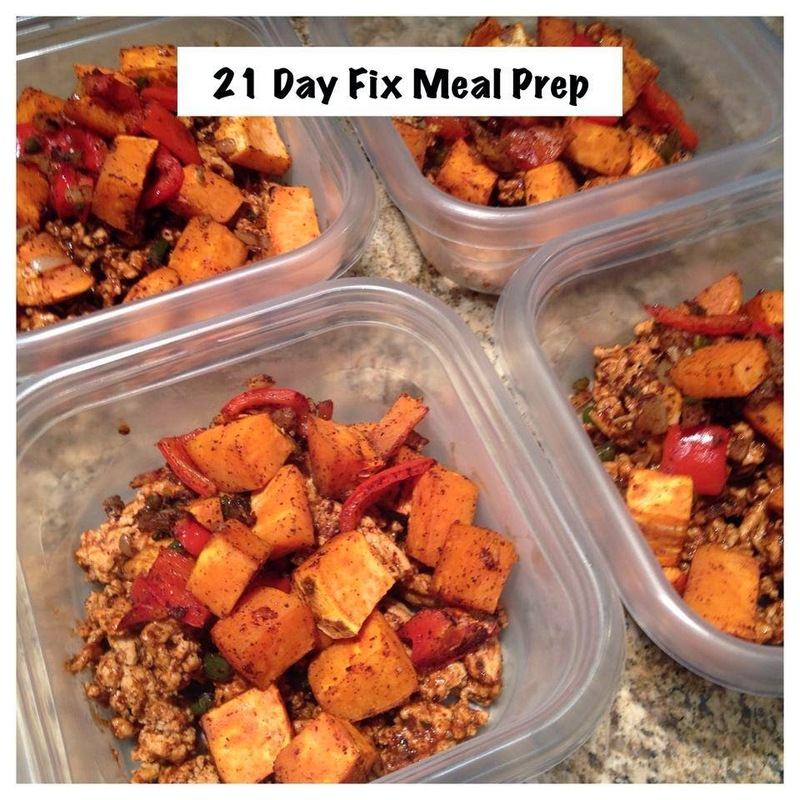 This recipe is one of my favorites for Sunday Meal Prep --- I have been following the 21 Day Fix for the portion control meal plan (the meal plan is totally Fresh Mama approved -- all whole foods, no artificial sweeteners, no starvation. Just real food, appropriate portions). Makes about 3-4 servings, so double the recipe if you need more!